The first in the series of four, released in 1998, centers on the coming-of-age story of Marnie Piper (Kimberly J. Brown). Aside from the main plot, this movie deals with the typical issues of a young teenager. It all starts in the first scene as Marnie is arguing with her mother, Gwen (Judith Hoag), over why she and her younger brother Dylan (Joey Zimmerman) and younger sister Sophie (Emily Roeske) can’t participate in any of the traditional halloween events. Adding to the mother/teenager dispute is Gwen’s mother Aggie (Debbie Reynolds). Aggie enters and sides with her grandchildren. So now we have the mother/teenager (Marnie and Gwen) argument being fueled by the mother/daughter disagreement between Gwen and Aggie. Aggie wants her grandchildren to embrace the true history and traditions of their family and embrace their powers (as witches), while Gwen wants her mom to stay out of it and let her raise her kids the way she wants as “normal” children. To give a sense of the determination, and as an angle to use in her arguments, Aggie tries to entreat Gwen to help with a problem arising back home in Halloweentown—now fusing the main storyline with the underlying theme. Gwen refuses and tries to explain her mother’s paranoia away. The children, especially Marnie, sense this tension between their mother and grandmother, and when Aggie finally cedes and leaves (back to Halloweentown), the ‘rebellious’ part of a young teenager takes control, and Marnie sneaks out to follow her grandmother. Unbeknownst to Marnie, however, Dylan and Sophie also sneak out and follow her. As the problem in Halloweentown escalates, Gwen does show up (mostly to take the children back home); however Gwen and Aggie are incapacitated, leaving the children to ‘fight’ on their own. While a great plot turn to put the focus back on the children, it is also a brilliant way to play out the grandmother/mother/children dispute. Without the adults, the children are allowed to deal with the issues, solve the problem, save the town, and prove that they are not only capable but also entitled to the life they were meant to be a part of. When Aggie and Gwen return (unfreeze), Gwen realizes that she cannot hide the facts about the family heritage. Mother and daughter come to an agreement and understanding. Mother and teenager reconcile and now see eye-to-eye. The film started off with arguing and differing opinions and ends with agreements and happy goodbyes. So, a good (and not too over-the-top) halloween storyline mixed with a relatable life-lesson about family dynamics, and the always popular good-wins-over-evil motif, makes for a great movie that can stand the test of time. Three years later, Disney released Halloweentown II: Kalabar’s Revenge. With acceptance of the ‘witch’ heritage by Gwen, the second movie mostly shows what happens when you take away who a person really is... in other words... it teaches the acceptance of others. In Halloweentown, a spell is turning everyone into ‘boring’ humans, while in the mortal world, a spell is set to turn everyone into monsters. Of course, good wins out over evil, and during the last few moments of the movie, both worlds are briefly introduced to each other... showing that with acceptance of each other, two very different worlds can co-exist and get along. This brief introduction of both worlds to each other sets things up for what comes in the third movie of the series. 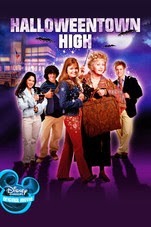 In 2004, Halloweentown High was released. While sticking to the halloween theme of the previous two movies and the good versus evil thing, the movie’s main underlying message is again that of accepting others for whom they are. Marnie, after much effort in convincing the Witches’ Council, is allowed to bring over a group of Halloweentown high school students to attend her high-school in the mortal world (though they are disguised as humans). Just as we experience in our world, Marnie and the Halloweentown students end up battling someone who doesn’t believe that ‘different’ should share the same space. A plan is put into place to destroy what Marnie is trying to build. Edgar Dalloway, the head of the Witches’ council, doesn’t believe that the two worlds can exist together and wants to keep Halloweentown isolated from the mortal world. His devious plan fails, however, and in the end, the students from Halloweentown reveal their true selves to the mortal students. With a small and educated ‘shame’ speech, the mortal students accept the creatures from Halloweentown. The movie even takes it one step further and has one of the people involved with Dalloway’s plan realize the error of his ways and the faults with his beliefs... he then joins in the celebration and acceptance of all. So, not only does good once again conquer evil but we are shown that it never matters what one looks like... the true person is on the inside, and that is the only thing that is important. 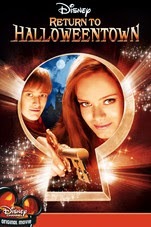 The fourth movie, Return to Halloweentown, was released in 2006. The role of Marnie Piper in this forth movie, however, was recast, and Disney received a great amount of angry and negative feedback because of that. Sara Paxton assumed the role of Marnie, and I think did the job very well. It was odd to not see Brown in the final movie, but Paxton is a very talented actor and played the role very well. I understand the connection fans have built with Brown being Marnie, but don’t understand (and absolutely do NOT agree with) the amount of negativity and ‘hate’ directed toward Paxton when the movie was released (and surprisingly, still receiving to this date). I like this movie, and I like Sara Paxton in this movie. 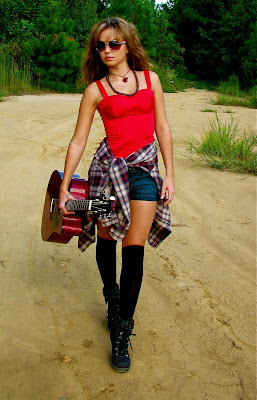 She did an amazing job portraying Marnie. 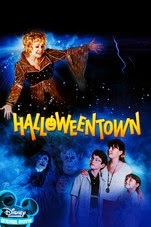 Return to Halloweentown is set at Halloweentown University, also know as Witch University. Like the previous three, this one has a strong underlying theme placed within the plot of the movie. The characters are older now, and the message takes on more of a ‘grown-up’ tone. In short, the movie deals with the transition many teens make as they grow up and leave home to be on their own. Marnie leaves her family’s house to attend Witch University. We see the worried mother and the determined child. As Marnie struggles to prove that she can do everything on her own, she finds herself a little over-her-head, as an evil group tries to bully her into using “her gift” to enslave Halloweentown. Marnie finally admits that she cannot handle things and calls on her mother for help. This didn’t show a weakness in Marnie, but rather, it showed that no matter what, no matter where, and no matter why, family will always be there to help when needed. With her mother by her side, they take down the evil group, while learning that even though they are not together, they are never alone. Gwen sees how strong and capable her daughter is, and gives her the blessing she wanted to stay at the university. Halloweentown has been part of halloween for fifteen years, and I see it being a part of halloween for many more years to come. Some movies just have that hook and never seem to lose it. The Halloweentown movies have a great plot and great actors, but they also have a story and a lesson to share. It doesn’t matter who you are or how old you are—the movies have something and are made for everyone. The four movies now span at least two generations and are still some of the most watched movies during the halloween season. So make some popcorn, sit back, and enjoy... and please, don’t ignore the fourth movie. Cute movies. Though, I do have to admit that I have less experience with the newest one, but I still have time to watch them on demand.